Bringing in a revenue stream from your app is top of mind in the development process, especially if it is included in the 90% of free-to-play mobile applications. Discovering new and innovative ways to earn from your app can be challenging. In-app ads and data monetization are two options that can optimize your revenue stream. It seems intimidating at first but it is essential to understand their importance, differences and opportunities. 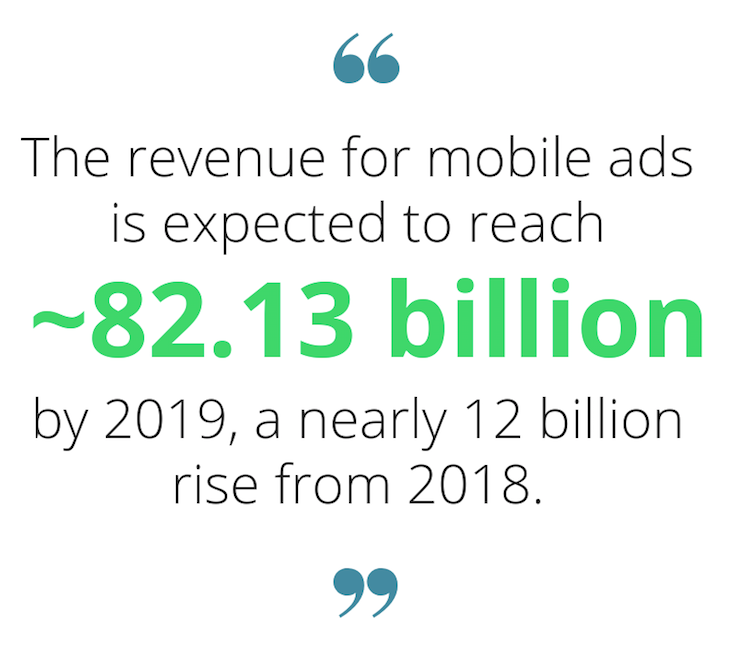 Mobile ads are expected to represent 72% of all U.S. digital ad spending in 2019 (MarketingLand) and the revenue for mobile ads is expected to reach ~82.13 billion by 2019, a nearly 12 billion rise from 2018. With the high demand for advertisements, in-app ads are a trusted primary source of revenue. Since the majority of apps are free-to-play, app developers look to in-app purchases and in-app advertisement as a source of revenues. These two sources of revenue help them sustain the free-to-play model. Whether you opt for an SDK or API to serve your in-app ads, both are a means to help you generate revenues. Three things to keep in mind when using in-app ads are content, frequency and dimensions. Content: The relevancy of advertisements could be the determining factor of engagement, so it would be best to serve ads that would be of interest to your app users. Frequency: Users install your application because they want to use your app, but beware of getting too ad-happy. Majority of users understand that ads will be served but serving ads in between every gameplay will frustrate users and the end result may mean them uninstalling your app. Once a user uninstalls, the user is lost, which means fewer revenues. Here, timing and spacing is pivotal, which is why it is necessary to get a feel for when to place an ad and how often. By spacing them out over a digestible period of time, there is a better chance of less uninstalls. In the long run, you’ll see higher returns. Dimensions/style: Let’s not forget, the actual look and layout of your ads determine the revenue generation as well. From interstitial formats or video ads, traditional ad format size will be the easiest solution to display in your application and will give you no issues. A popular format that engages users is through reward advertisements. This allows you to reward your users with in-app incentives while you generate revenues and keep users engaged with your app. The growth and revenue opportunities from your app create an attractive platform for advertisers to showcase their products and services. This benefits both you and the advertiser- the advertiser gains exposure while you gain income. With a universe of data to be collected, the opportunity to use your data points from your users opens doors for revenue. Audiences provide a deeper understanding of users including their behavior, lifestyle and interests. Data monetization is expected to bring in a $203 billion revenue by 2020. Advertisers are craving your rich audience insights to reach a larger, more targeted audience. 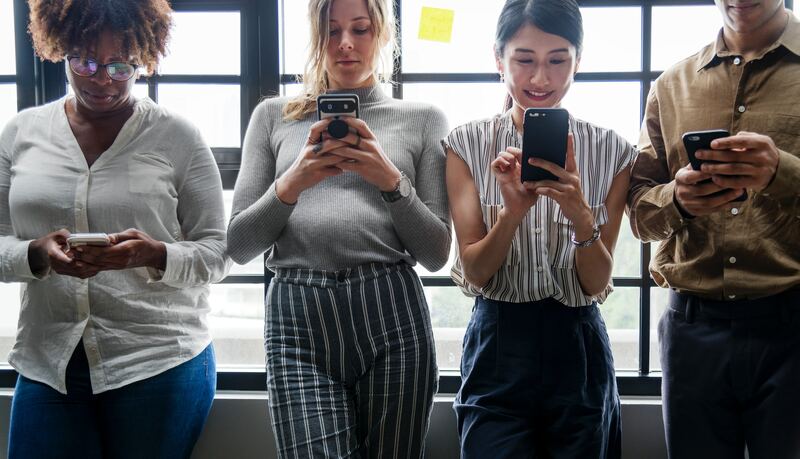 Audience monetization: A goldmine for advertisers and brands, this data monetization type offers audience insights such as age range, income, lifestyle and interests, gender, purchase intent and top trending segments. Location monetization: Collecting geographic information to monetize is essential for location-based campaigns. This information could be used for deeper insights on where people are using your app. With this, it’s possible for advertisers to serve relevant ads in a hyper-locational method. Having a clear EULA highlighting the collection and uses of their data is imperative. Trust is key with your app users. They can’t be fooled- they downloaded your app for the purpose of using your app as intended and understand a majority of apps do serve ads to support their business. Your users will be more inclined to accept the terms when you present them with a clear and transparent message about what information is being collected. If they consent, then you are able to gain “behind the scenes” insights and generate higher revenues. If they decline, then the user will be allowed to access the application without having their data collected. The collection of this data becomes an extremely valuable asset for your app and for an advertisers business. Another key benefit is being able to use your insights for potential app modifications or even new app development. In-app ads and data monetization are two ways to earn an additional revenue stream. In-app ads allow you to serve relevant content and engage with users and allow advertisers to invest in your app to showcase their goods and services. While many developers are hesitant to turn to data monetization, we cannot deny that those who do see significant growth in their business. We see that the growth in revenue from data monetization is more than double, nearly triple the projected revenue of in-app ads. As an App Developer, there are options for you to generate revenues. In-app ads have traditionally provided apps with their source of income. With data monetization, you’ll earn revenues along with getting insights about your audience to support your in-app ad income. Learn how you can monetize your users with oneAudience. Our ad-free method lets you learn more about your users, earn revenue and make the necessary changes to see growth in your app.